Amendments to several policies in Finland will take effect as of 1 January 2019, affecting tax rates and pension payments, for example. The turn of the year will bring several changes to public policies and taxation in Finland. Among other things, the unemployed will be able to study for six months without losing their benefits, and vehicle taxes on low-emission cars will go down. As of 1 January 2019, regulations will change to allow jobless persons over 25 years of age the opportunity to pursue studies that "improve professional skills or help set up a new business" for up to six months without losing their eligibility for unemployment benefits. This new policy differs from the old practice in that the TE employment office will no longer assess whether the training is necessary before it can commence. Jobseekers who receive the unemployment benefit will still be obligated to apply for and accept full-time work and attend the employment-promoting services that are offered to them, however. Finland's employment ministry stresses that the new study option will not be considered a valid reason to turn down a job or the offered services. The new study opportunity will also be accepted as an activation requirement under the government's activation model, a policy change introduced in 2018 that cut unemployment benefits to jobseekers the authorities deemed passive. 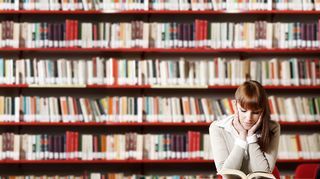 Starting in August 2019, people in Finland continuing studies past compulsory basic education will receive support from the state for the purchase of their textbooks and other study material. Pupils under 20 will be granted up to 50 euros a month for this purpose. The new act and decree will also provide an extra month of study support and guidance per academic year for pupils in upper secondary schools, and financial aid for pupils under 18 who do not live at home will no longer be tied to parental income levels or other grants. The Incomes Register, a nationwide online database with real-time wage and salary information provided by employers, will be deployed on 1 January 2019. Pension and benefit data will be added in 2020. A brainchild of the Tax Administration, one of the objectives of the register is to make it easier to update tax rates according to current income levels. For this reason, large tax refunds and back taxes should become a thing of the past. As of next year, both tax refunds and taxes owed will also be paid on a sliding basis from August to December, instead of in December alone. All drinks containing alcohol will grow more expensive in 2019, as taxes on them will increase by 2.5 percent. The state expects to earn an extra 30 million euros with the change, as the price of an average bottle of wine will rise by ten cents and Koskenkorva vodka by twenty cents. Drinks with more than 0.5 percent sugar per litre will also grow more expensive by ten cents or so, while taxes on cigarettes will grow to 52 percent of the sale price, at around eight euros per pack. Taxes on the sticker prices of new automobiles will go down, as determined by the value of the vehicle and its CO2 emissions. Vehicle taxes on cars with lower emissions will also be taxed at a lower rate after 1 January. Finland's guaranteed pension will rise to 784.52 euros per month in 2019, an improvement of more than nine euros monthly. The maximum limit for out-of-pocket costs for prescription medicine will also fall by about 30 euros to 572 euros. People exceeding the annual maximum will be entitled to reimbursement from the state for the rest of the year, although a co-pay of 2.50 euros is required for each reimbursable medicine beyond this amount. Finland's government will lower taxes for low-income earners in Finland by 130 million euros. For earners in other pay brackets, tax rates on wages and salaries are forecast to remain the same. On the local level, however, municipal tax rates are expected to go up next year in 50 municipalities, along with increases to real estate taxes in over 30 locations. On average, a middle income earner in Finland can expect to pay about 7,500 euros in municipal taxes next year. Energy taxes will also rise by 40 million euros next year, as part of a political drive to wean the country off of coal. Owners of homes that are heated with fossil fuels will pay more than ten euros more in energy taxes in the coming year. 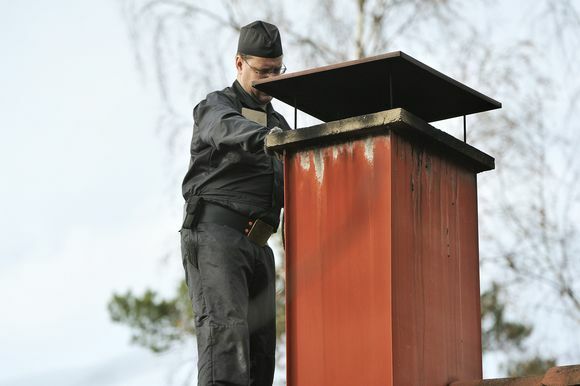 The market for chimney sweeps will be decentralised at the start of the new year, as local rescue service providers will no longer be solely responsible for arranging regular inspections. Year-round residences will still be subject to annual chimney inspections, but seasonal abodes will only have to have their flues checked once every three years. Several state organisations will also merge and/or take on new names in the coming year. First, the Transport and Communications Agency (Traficom), will take over for the combined Finnish Communications Regulatory Authority and the Transport Safety Authority. Next, the Transport Agency will become the Transport Infrastructure Agency (Väylävirasto replacing Liikennevirasto in Finnish). Likewise, the title of Finnish Food Authority will be given to the newly-merged Finnish Food Safety Authority, the Finnish Agency for Rural Affairs and the National Land Survey's ICT services centre. Strict Finnish rules about what kinds of names parents can give their children will also be relaxed at the turn of the year, with more tolerance for names from foreign cultures. Civil servants will still require that the names are "well established" in Finland before they can be approved. Family or last names can also be a combination of the parents' names in future, and children from common-law marriages will be allowed to take a common family name.